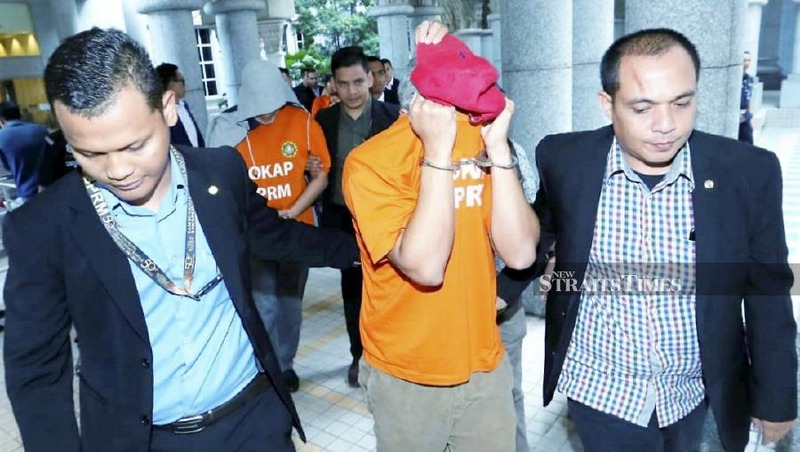 PUTRAJAYA: The Malaysian Anti-Corruption Commission (MACC) has obtained a five-day remand against three people over abuse of power and graft allegations related to a Companies Commission of Malaysia (SSM) project worth about RM30 million. According to a source, those detained aged between 44 and 56, comprised a senior SSM officer and two directors each from an information technology company in the federal capital. In handcuffs, the three immediately covered their faces from having their pictures taken by photographers when they reached the court at about 9.20am today. The remand order which begins today until March 23 was issued by Magistrate Ahmad Asyraf Mohammad Kamal, here. All of them were detained at about 11am at their office and their homes in Petaling Jaya, Selangor and the federal capital. The senior officer was alleged to be in collusion with the two directors concerned to obtain approvals offering certified software certificate services without following regulations under the jurisdiction of the Malaysian Communications and Multimedia Commission (MCMC).